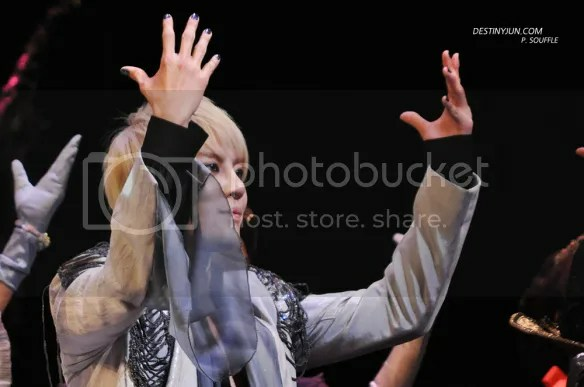 Pictures are resized to fit the JYJ3 screen. Click to view in full resolution. Wow fans really take the best pictures! Wish i could be there…. Oh gosh, look at him. I’m so proud, so proud of him. He’s just LOVING being a part of this show. I’m SO happy for him and for his grand triumph in yet another musical. JUNSU! These pics show how dedicated junsu is to this musical and this is just the curtain call 😀 Ticket holders to Junsu’s performances are very lucky. XiahTod Fighting!!! Such an young man with so much focus, dedication, passion, and respect for his work. I take my hat off to you Kim JunSoo! I’m dying to watch this musical!!! If anyone had seen the show, please share your impression and some details here. I’d love to read it so much, especially about Junsu. Just look at the still photo, I know how great he is! Sovereign! 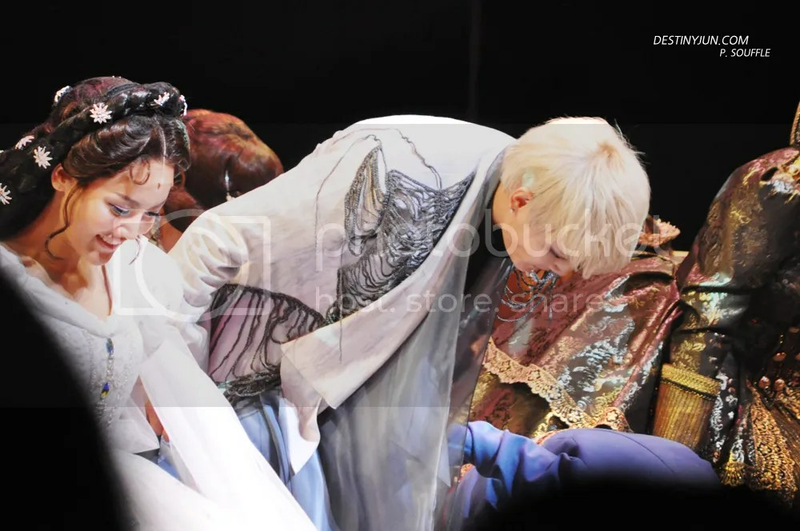 Junsu is definitely a Royal, pictures speaks a thousand words. A Renaissance man indeed this Elisabeth musicals proves that he has class and substance, i adore this young man for his talents and wisdom. that has got to be the most beautiful death i have ever seen. I have added list to my seem impossible wish. 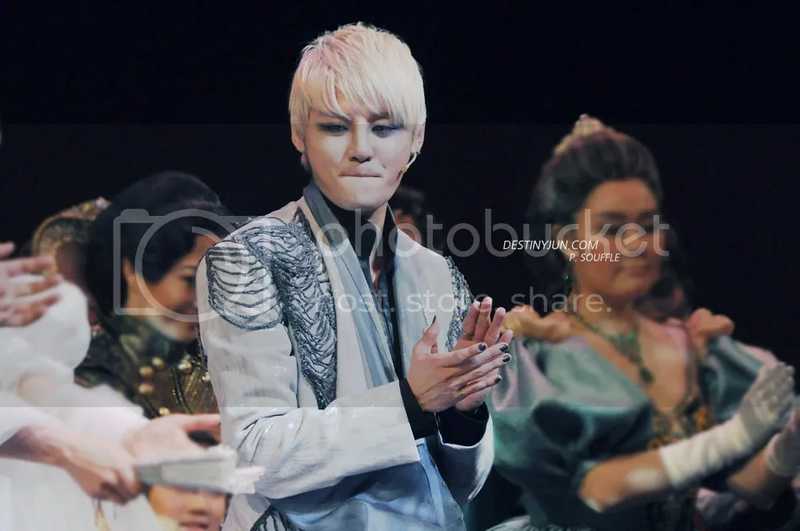 First to attend a JYJ concert and to watch a Junsu musical play. I have my eyes fixed on Tod only, what a delightful sight. I am so proud of Junsu! 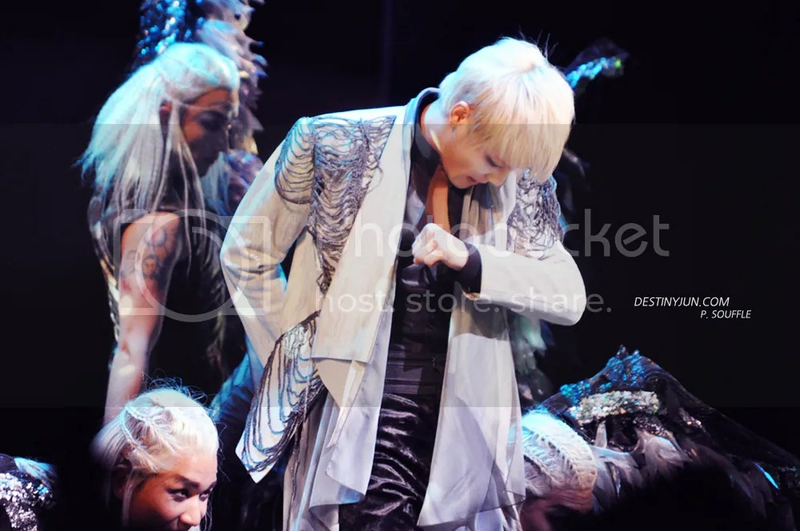 Oh My… Junsu’s hands….my eyes are being drawn to his hands! 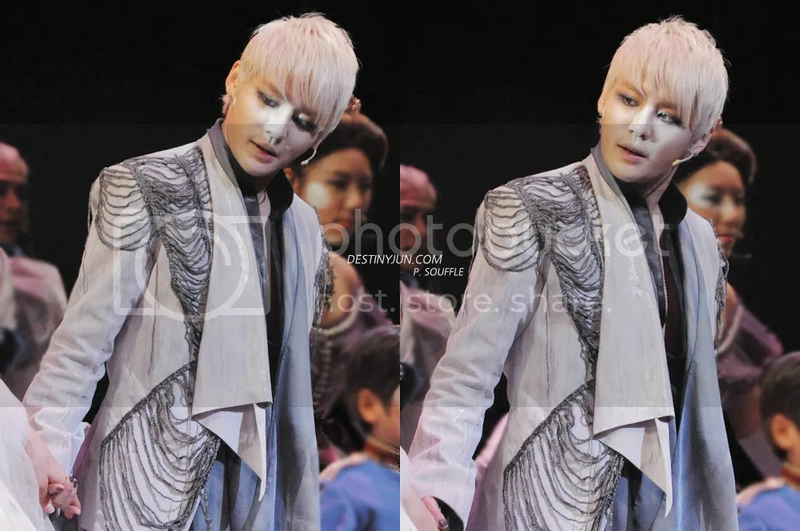 Junsu look so gorgeous in each pic!!!! Junsu is just perfect for this part. You can tell he is so happy to be apart of this play. I so wish I could see it, maybe they will release it on DVD. When I click on the pic to view the original size I never be able to save the pic. So, I decided to go to their website the post is password protected.